Expensive optics deserve protection. 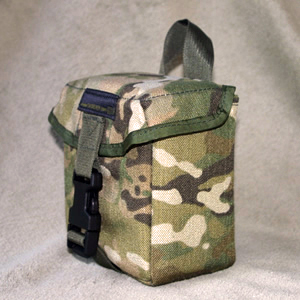 The LRF case surrounds your device with a protective wall of rugged materials while providing standard MOLLE style attachment points for securing to your belt, ruck or vest. The case is constructed of 1000D Cordura, hard plastic, closed cell foam, and an internal layer of 1000D Cordura. Fits devices up to 5" x 4.5" x 2.5"